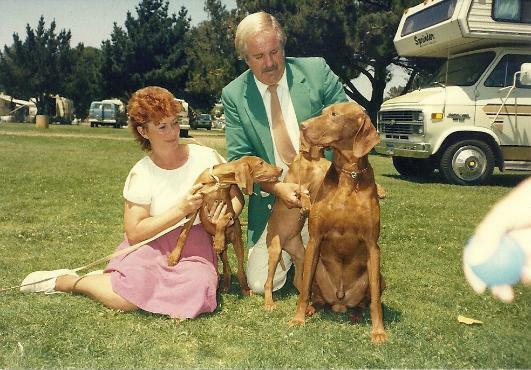 The Top Vizsla Breeder/Owner/Handler in History! 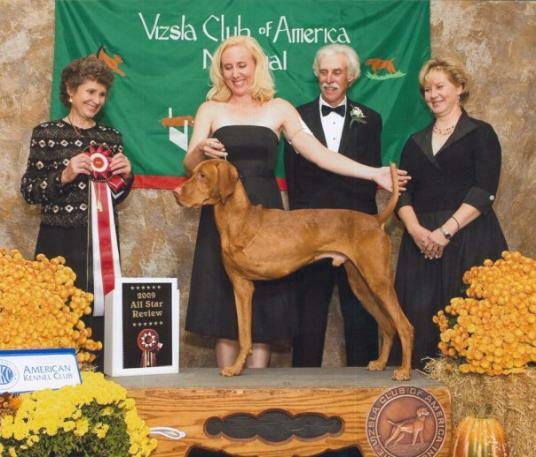 2007 AKC Sporting Group Breeder of the Year Award - 1st in our Breeds History! nominated by VCA, AKC Humane Fund Award for Canine Excellence (ACE) Exemplary Companion! 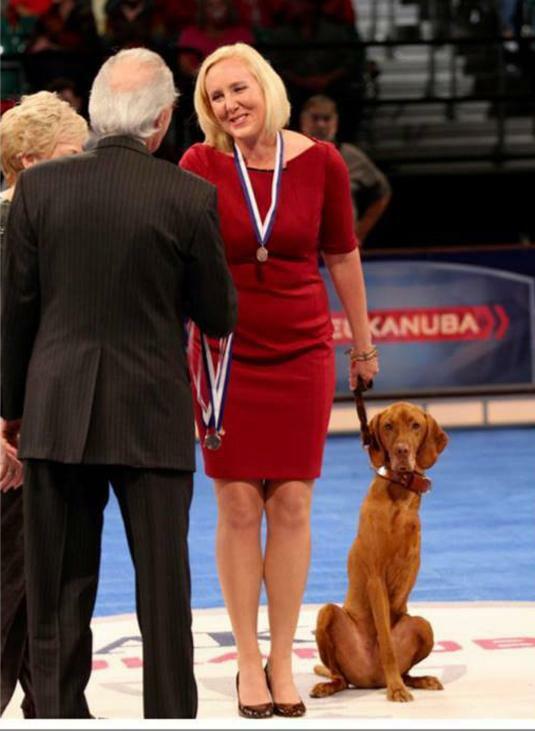 2013-2017 Top Hungarian Vizsla Breeder & Top Breeder in Group 7 Award! Health Tests Peformed: Hips, Eyes, Cerebellar Ataxia and DNA. 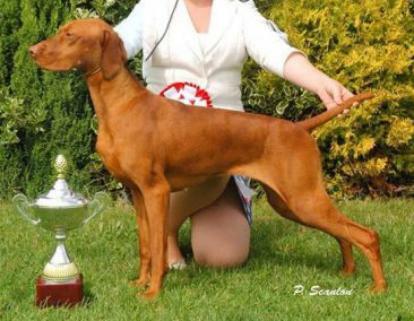 2013 Top Hungarian Vizsla Breeder & Top Breeder in Group 7! 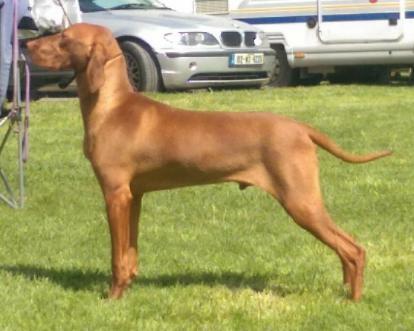 2014 Top Hungarian Vizsla Breeder & Top Breeder in Group 7! 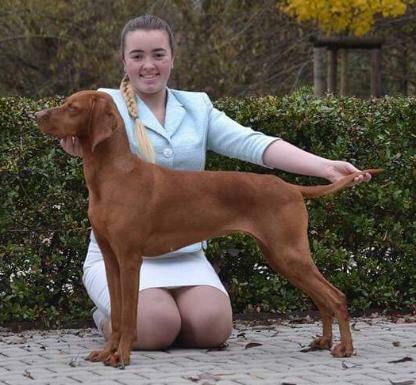 2015 Top Hungarian Vizsla Breeder & Top Breeder in Group 7! 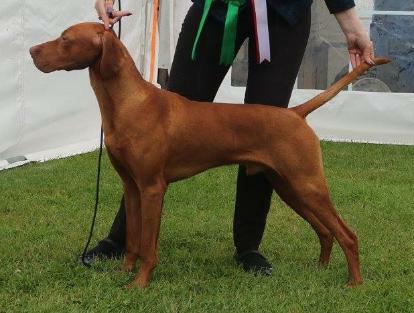 2016 Top Hungarian Vizsla Breeder & Top Breeder in Group 7! 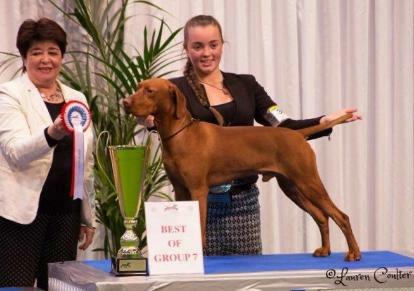 2017 Top Hungarian Vizsla Breeder & Top Breeder in Group 7! 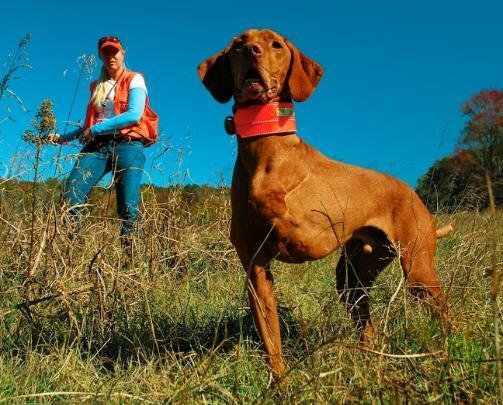 2018 Top Hungarian Vizsla Breeder! Best In Show, Group Winning & Placing and Best Of Breed Winning. 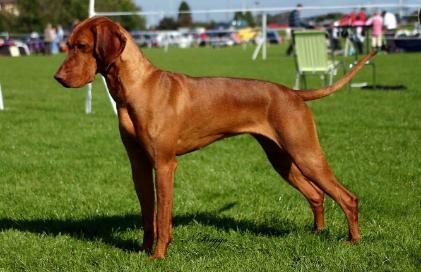 I am a member and secretary for The Hungarian Vizsla Club of Ireland. 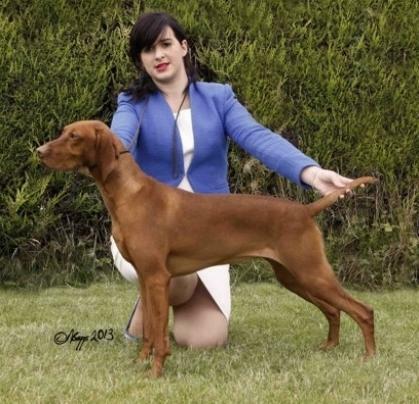 We are proud to share our foundation Vizslas and their progeny, along with their achievements. 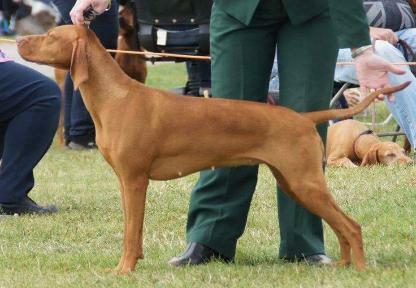 Marco - Ireland's Top Winning Show Vizsla Of All Time - 2016! Minimum of 100 dogs earning titles with a minimum of 60 being prefix titles. 1st in our Breeds History! 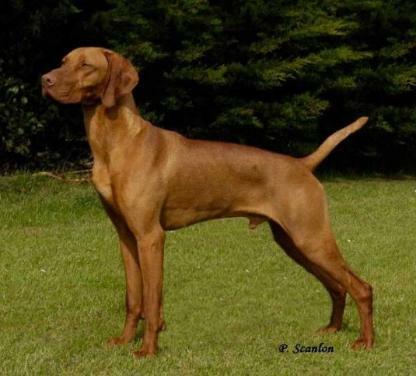 & breeding the finest Vizslas. Clubs: Beverly Hills Kennel Club ("Bev" Obedience Chairman and "Ed"
of Directors for approx. 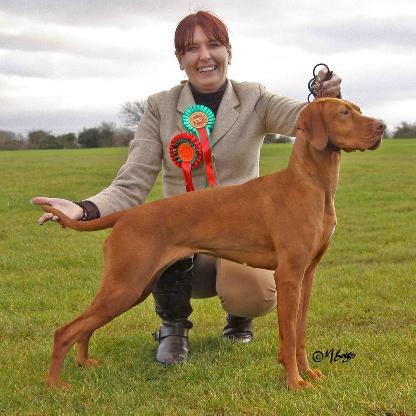 10 yrs) and Southcoast Vizsla Club. Adrian & Beverley Wanjon, A Top Producing Dam in the breeds History! Master Century Jumpers With Weaves (MJC), Excellent Fast (XF). Champion (CH), Junior Hunter (JH). earned her Agility Grand Championship (12 years & 11 mos.). Club - Best Of Breed - 1991, 1992, 1993! (1991 Group 3 & 1993 Group 3!). Jumpers (MJB), Excellent Fast (XF). Award Of Merit. Titles attained; Grand Champion (GCH), Champion (CH), Rally Advanced (RA), Master Hunter Advanced (MHA). owner handler accomplished. Titles attained; Grand Champion (GCH), Champion (CH), Master Hunter (MH). 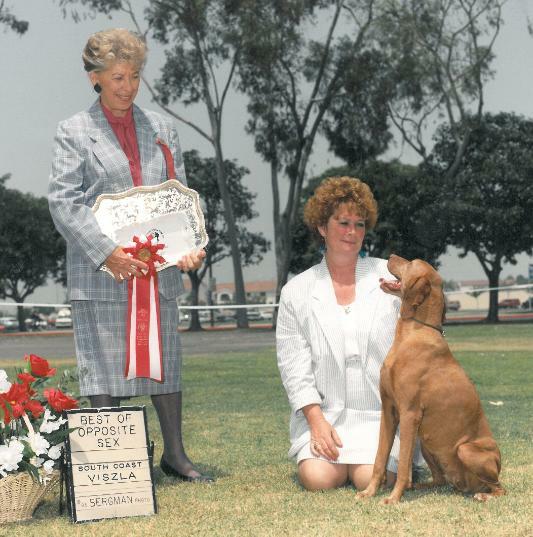 Vizsla Club Specialty Winner. Titles attained; Gold Grand Champion (GCHG), Champion (CH). 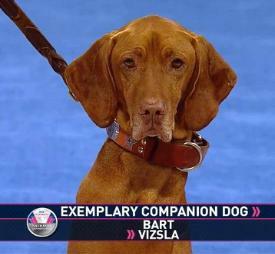 Specialty Show (BISS), A Top 10 Vizsla, Multiple Group Placements. Titles attained; Grand Champion (GCH), Champion (CH). 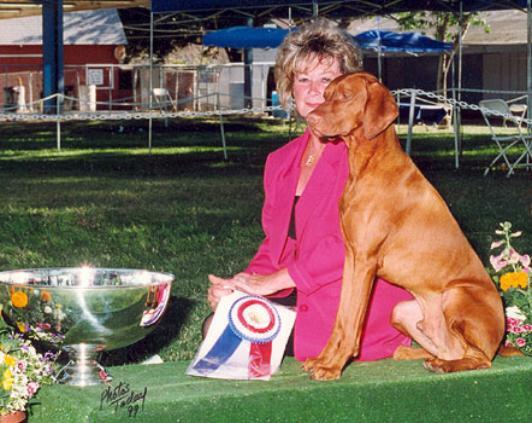 - 1999, VCA National Specialty Winner, Registry Of Merit (ROM) and Multiple Best Of Breed Winning. Titles attained; Champion (CH), Junior Hunter (JH). Of Breed Winning. Titles attained; Champion (CH), Companion Dog Excellent (CDX). A Top Producer, Multiple Best Of Breed Winning. Titles attained; Champion (CH). 2x Best In Specialty Show (2xBISS), Group Placing & Multiple Best Of Breed Winning. Titles attained; Champion (CH). Champion (DC) and Amateur Field Trial Champion (AFC). Nationals - 2017! Titles attained; Silver Grand Champion (GCHS), Champion (CH), Junior Hunter (JH) Master Excellent (MX), Master Agility Jumper (MXJ). 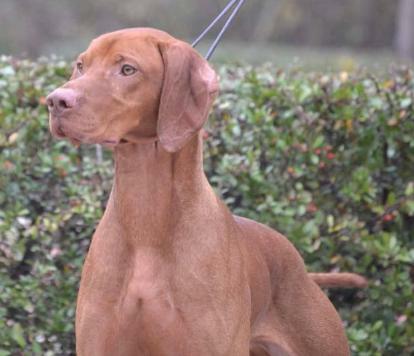 Bred by Adrian & Beverley Wanjon, 2018 AKC National Owner-Handled Series Finalist #8 Vizsla! Source: AKC Certificate, as of 10/12/2017- 10/10/2018. Beginner Novice (BN), Rally Intermediate (RI), Farm Dog Certification (FDC), Canine Good Citizen (CGC), Intermediate Trick Dog (TKI). 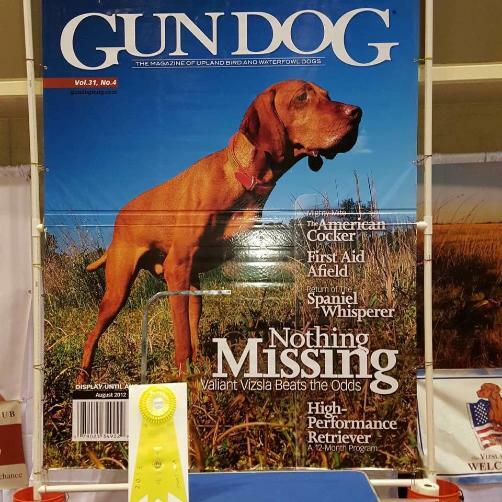 Champion (CH), Master Hunter Advanced (MHA), Canine Good Citizen Advanced (CGCA), Trick Dog Intermediate (TKI).